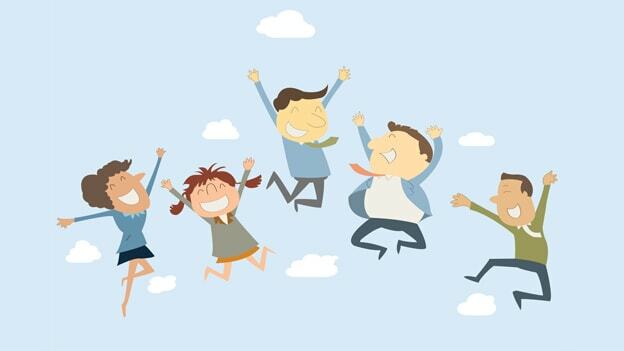 Article: What is Total Employee Experience? What is Total Employee Experience? The modern world of work will soon be characterized by flexi-work approaches project-based virtual teams and ‘always-on’ social communications. The techno-social evolution means that yesterday’s approach of manager-led workgroups and the utilization of traditional communication channels is just not going to cut it anymore. In this changed scenario, how do organizations engage their employees? And how do they drive work group level dynamics? According to one Gallup study, it is estimated that managers account for at least 70% of the variance in employee engagement scores across business units. In India alone, 58% of the employers are finding it difficult to fill jobs, while only 13% of the global workforce is apparently fully engaged – stats that surely raise alarm bells. So, how does the modern workplace handle these concern? Organizations continue to not only fight the talent attraction battle, but more and more we are seeing the challenge of engaging talented employees emerge as a key concern of HR’s as they strive to drive greater business results through a productive workforce. Renewed thinking is required not only to attract and select the right people, but also to ensure they are retained and are highly engaged to be as productive as possible. The need of the hour is to measure and enhance the Total Employee Experience – a step beyond the known drivers of engagement. So what do the organizations need to do? Treat employees as customers: As internal customers, employees expect to have a similar experience that they are used to receiving as external customers of various products and services. The contemporary workforce has already gone digital. Their professional, personal and social life is increasingly online. The world is embracing digital way of life. It is an imperative for an organization to have a digital HR strategy to manage the Total Employee Experience. Organizations that do not wake up to this reality are at a very high risk of losing the war for talent. Look out for ways and means to delight employees – continuously. Defining ownership: The debate of whether HR or the business owns engagement is redundant in the current context. HR, line managers, and the organization as a whole – and even the employees – have a role to play in ensuring engagement. According to a recent study by Changeboard in association with Oracle, in 40% of organizations, employee engagement is still owned by HR. Like any other aspect of organizational success, HR has a limited role to play in defining employee experience there by their engagement. CEOs need to make Strategy, Marketing or for that matter, IT equally accountable for employee engagement. Focus on enablement: The experience of being “fully enabled” to bring out their best, both in physical and virtual environments drives engagement of employees significantly. Organizations must evolve their systems and processes from being check and control mechanisms to levers of providing employee delight. While managers should wear the hat of mentors and coaches, HR and IT should focus on creating an experience of enablement for the employees – tactically, strategically and behaviorally. Technology is today the single most critical lever to drive overall employee experience and there by employee engagement. Track employee experience across touch points: Periodic measurement of select drivers of engagement is insufficient in the current times. Organizations must work towards getting a real time pulse of employee experience across touch points on a regular basis. Physical wellness, financial health, social engagement and overall satisfaction all impact the emotional state of an employee and hence must be tracked by employers. Proactive support goes a long way in creating an experience of delight for the employees. Create bespoke employment experience: Each individual is unique and wants to be treated uniquely in today’s times. Be it in defining employment terms, choices around role and responsibilities, learning experience or career development, each employee wants a bespoke treatment. Organizations need to have enablers in place cater to this very important employee expectation. Appreciation for Talent: Today’s workforce expects appreciation and recognition for the unique talent they bring to the table and not just for doing good work. Organizations need mindset and enablers to identify and appreciate unique talent at an individual level and not just focus on role / organization specific competencies. Create a new leadership mindset: The impact of leadership on driving employee engagement remains unchanged. However, leaders will need to unlearn a lot from past and replace with new age leadership competencies. The concept of employee engagement has assumed a much more holistic shape and has become an even bigger component of organizational success. Total Employee Experience is indeed the new synonym for Employee Engagement. Shakun Khanna is the Head of Human Capital Management Applications, Asia Pacific, Oracle Corporation and an expert Executive Coach in Asia.